This privacy statement describes how IJEDR collects and uses the personal information you provide on our websites: www.ijedr.org. It also describes the choices available to you regarding our use of your personal information and how you can access and update this information. IJEDR is committed to protecting the privacy of users of its website and services. To better inform you of our policy concerning user privacy, we have adopted the following terms. When Author submit a manuscript/Research Paper/Abstract of Research Paper to IJEDR, IJEDR collect various information about the Paper and Authors. Information such as Author’s name, Designation, Name of Institute/University, Email address, and Contact Number. This information may be combined with information we obtain from public sources, business partners, or other companies. IJEDR also Collect the information regarding your Research paper. i.e. Title of Paper, Authors Details, Area of Research, Abstract , Index Terms , and Research Contents. Once you apply for publication, and sign in to our services, you are not anonymous to us. Security of such information is a high priority for us. IJEDR automatically receives and records information on our server logs from the information that your browser sends to us, including your IP address, cookies, and the page you request. 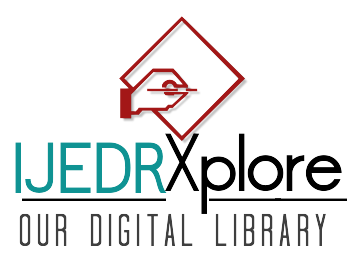 The information collected may be used by IJEDR for the purpose of operating and improving the IJEDR Website, fostering a positive user experience, and delivering services that we offer. We may also use the information we gather to inform you of other Notifications/services available from the IJEDR Website or to contact you about your opinion of current services or potential new services that may be offered. IJEDR may use your contact information in order to send you e-mail, postal mail, or other communications regarding updates at the IJEDR Website, such as upcoming issue related details, different deadlines dates, upcoming Conference or many future proposed details which may be of interest to you. 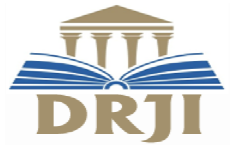 IJEDR will provide the authors published paper details to our indexing partner any time without notice to authors. We provide the information to trusted partners who work on behalf of or with IJEDR Publication under confidentiality agreements. These companies may use your personal information to help IJEDR Publication communicate with you about offers from IJEDR Publication and our marketing partners. However, these companies do not have any independent right to share this information. We transfer all the information about authors and paper if IJEDR Publication is acquired by or merged with another company. IJEDR Publication works with vendors, partners, advertisers, and other service providers in different industries and categories of business. IJEDR Publication may update this policy. IJEDR will notify you about significant changes in the way we treat personal information by sending a notice to the corresponding author’s email address specified in your information with IJEDR or by placing a prominent notice on our site.